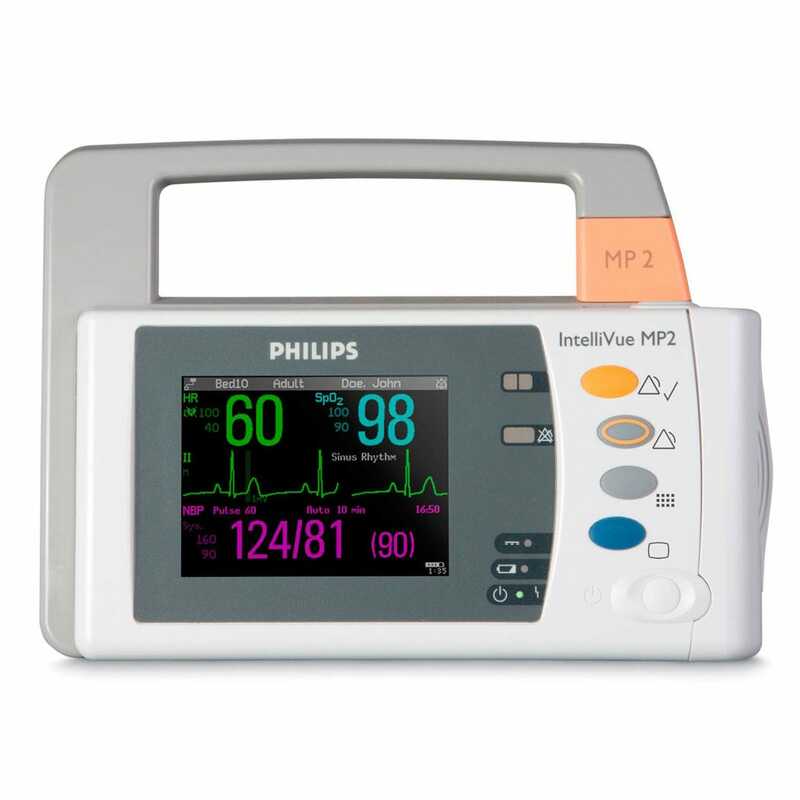 The IntelliVue MP2 is a remarkably light, flexible, and durable wearable transport monitor that’s easy to use during transport or in low acuity settings, both in and out of the hospital. The portable design weighs just above 3 lbs and a long battery run time of three hours. Overall this monitor is a great choice to be carried by patients in low-acuity settings.